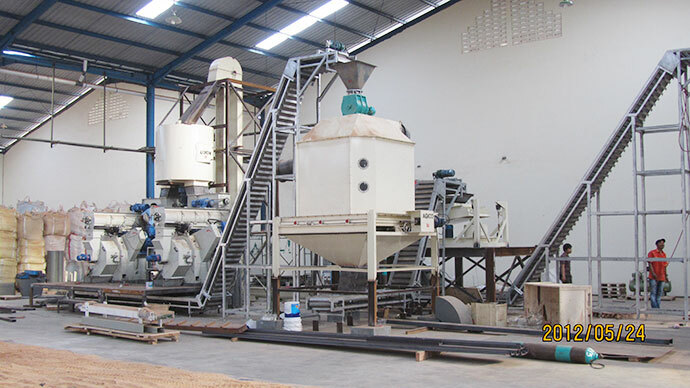 The project is located in Semarang ,Indonesia, installed in early 2012.The investor is local wood working mills owner. Raw material of the mill is local hardwood sawdust. The density of wood is already 1-1.2 tons/m³.To pelletize such hardwood, the ring die needs to be made of the best material and designed with suitable compression rate. After research, we have successfully made very good wood pellets from the local sawdust. Now the factory is exporting wood pellets everyday to foreign market. The investor will expand the project capacity to be three times than the present one. We’ll do our best to work for the investor’s project and grow together.